For people with MS, the growing field of telemedicine could offer quick relief from a disease known for its inconveniences. People living with MS find they can use new technology to obtain information and receive physical therapy without having to leave their homes. For people with multiple sclerosis (MS), the growing field of telemedicine could offer quick relief from a disease known for its inconveniences. Among other things, the emerging field can provide clinical services to patients remotely through the use of technology. For many of those with MS, getting out of the house is not only difficult, but also costly and time consuming. The need for assistance, drivers, shuttles, and walkers can turn a 20-minute appointment into a 2-hour adventure, not to mention the fatigue it can bring. And in summer months, when high temperatures can be intolerable, a visit to the doctor’s office can land someone in the hospital. According to the Journal of the American Medical Informatics Association, people with MS use the internet in a greater proportion than the general population in the United States. That’s despite the fact physical disability limits their access. Patients also prefer meeting with doctors in person, and choosing the internet for medical information as their second choice. The global market for telemedicine is growing and expected to be worth more than $34 billion by 2020. Researchers are beginning to combine this growth with disabling diseases, consumer demands, and an audience trained and trusting in the internet to create applications designed to improve a patient’s quality of life. MS is often a disabling disease. Lack of balance and falling can be major issues. One study concluded that telerehabilitation programs improve postural control in people with MS, resulting in better balance. Researchers used one of several kinetic video games, an Xbox 360 console, and some virtual reality. With a webcam-style add-on to create a natural user interface, patients were taken through rounds of physical therapy in their homes via video conferencing over a course of 10 weeks. The results were compared with a control group that received therapy in person at an external office. Researchers reported positive results and suggested further investigation into the use of telerehabilitation and virtual reality for MS patients. Fatigue is considered the top reason why people with MS experience disabilities. A trial at Case Western Reserve University is looking at fatigue management and physical activity intervention in adults with MS as part of a research grant from the National Multiple Sclerosis Society. The trial will look at the feasibility of providing necessary therapy via remote telecommunications. Participants are currently being enrolled. This trial will provide instruction on fatigue management, and teach participants how to analyze and modify their schedules based on their level of energy, in order to achieve physical activity goals. To date, no trial has combined these components of MS to study the interaction. Another trial, underway in Italy, is looking at the aspects of meditation for patients and caregivers relating to quality of life with a telemedicine mindfulness-based intervention. Patients will undergo assessments of quality of life, anxiety, depression, quality of sleep, mindfulness, and fatigue levels. Caregivers will also complete similar assessments along with assessments on caregiver burdens. The purpose of this trial is to create and test a multimedia software package that can improve quality of life, quality of sleep, and reduce fatigue by teaching meditation at home based on the specific requirements of people with MS. Participants are currently being enrolled. Mindfulness meditation has been proven to improve cognitive functioning and symptoms of depression and fatigue in those living with MS.
A study published in Neurology, the official Journal of American Academy of Neurology, found that through a telemedicine platform some participants reported greater reduction in fatigue, depressive symptoms, and improved sleep quality after the mindfulness training. 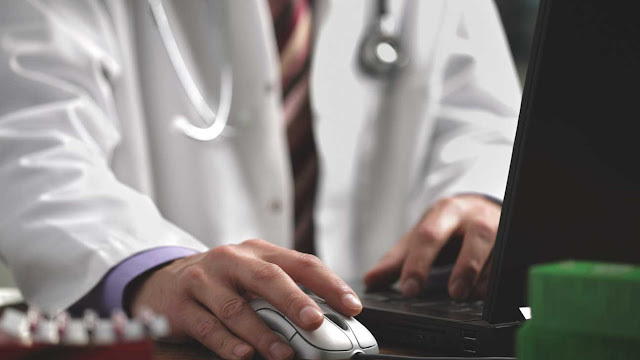 Amid all the trials and studies, one program is running strong with telemedicine.